Sigil is a multi-platform EPUB ebook. It supports both WYSIWYG and code-based editing of EPUB files, as well as the import of HTML and plain text files. 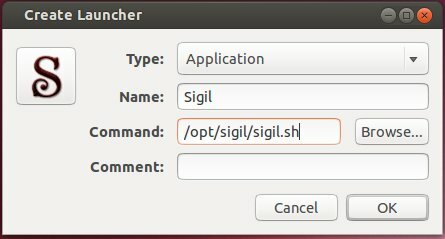 Since version 0.7.4, Sigil requires higher version of Qt5 libraries which is not available in Ubuntu’s universe repository. 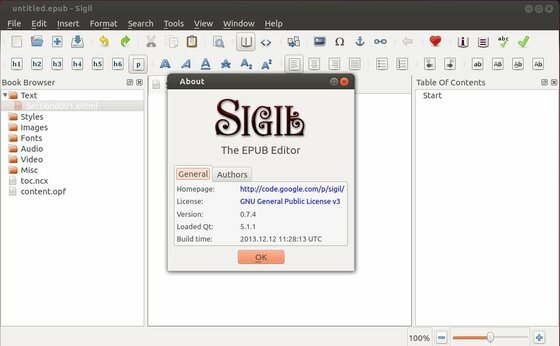 This tutorial will show you how to install the latest Qt5 and build sigil from source code. Works on Ubuntu 13.10, Ubuntu 14.04, Ubuntu 13.04, Ubuntu 12.04. 1. 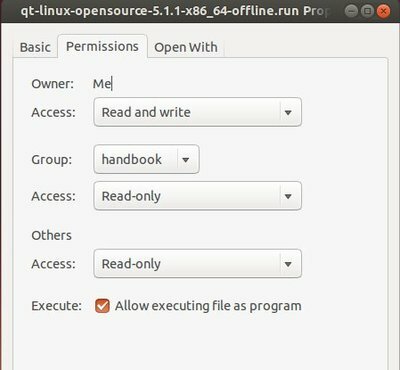 Go to qt-project.org/downloads, download Qt (so far it’s 5.2.0) for Linux. 2. Right-click on the downloaded installer (.run file), select Properties and navigate to Permissions tab. Check the box between “Execute” and “Allow executing file as problem”. It brings up the install wizard. 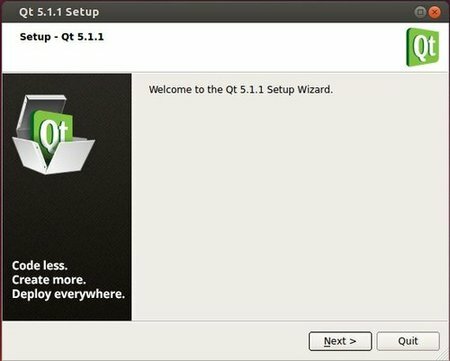 Just follow it to install Qt5 into the default /opt/ directory. NOTE: you need to change 5.2.0 to the Qt version you installed. This command will take a few minutes building packages. NOTE: you need to change 5.2.0 to the Qt version you installed. And remove _64 for 32 bit system. Type in name Sigil and command /opt/sigil/sigil.sh and click OK.
Now you’re able to start Sigil from Menu or Unity Dash. Hi, if you are using Ubuntu 12.04, I have built sigil 0.7.4 in Launchpad. I’m a total newbie to linux. I installed Lubuntu 13.10 not even 1 month ago and installed Sigil successfully (I’m surprised I was able to do this) to learn it. By the time I had time to start learning it, Lubuntu 14.04 came out and I upgaded. Unfortunately, it removed Sigil. Is the latest version of Lubuntu 14.04 compatible with the latest version of Sigil 0.7.2?